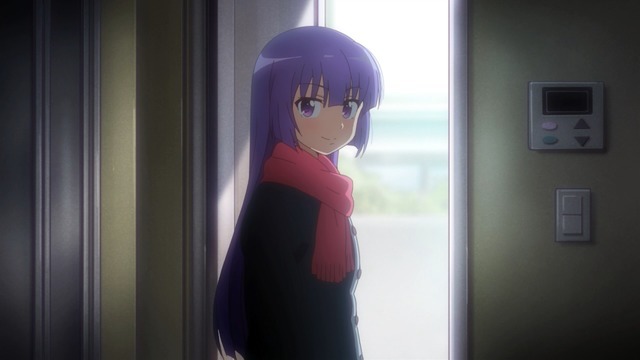 Youko announces her departure to her empty little apartment. I sort of like the idea of "Cute Girls Doing Cute Things" anime, but I have such a low success rate with them that I tend to avoid such shows as a matter of general principle. I'll check in every once in a while to see if my impressions of them has changed, but I usually end up dropping these shows relatively quick. This was the case with the well regarded Kiniro Mosaic despite Karen being an appealing nutjob, and was the case with Girlfriend (Kari) despite, um, the Tange Sakura character being an appealing nutjob. It's also why I've never started Yuyushiki and why I never watched Gochūmon wa Usagi Desu ka? (Is the Order a Rabbit?) even though I'm intrigued by the one who apparently carries a pistol for some reason I don't understand. So that's what Gabriel's hair looks like brushed. 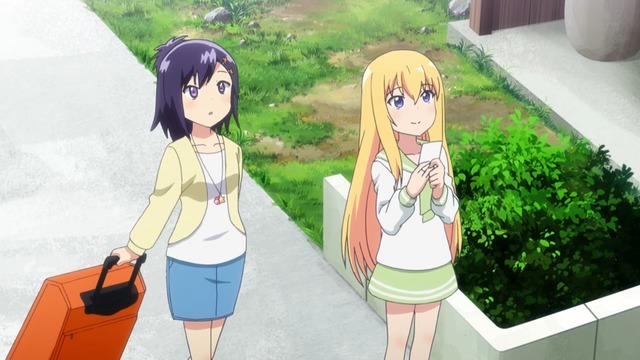 Gabriel DropOut is a sort of clever "cute girls doing cute things" show and about what I expected from Doga Kobo based on my impressions of its previous shows. There are huge gaps in my familiarity here, so don't give too much weight to that assessment. The setup behind Gabriel DropOut involving a former Angel School star turned lazy deadbeat is amusing, but is basically still just one joke, so the show started losing steam well before its mid-season mark.